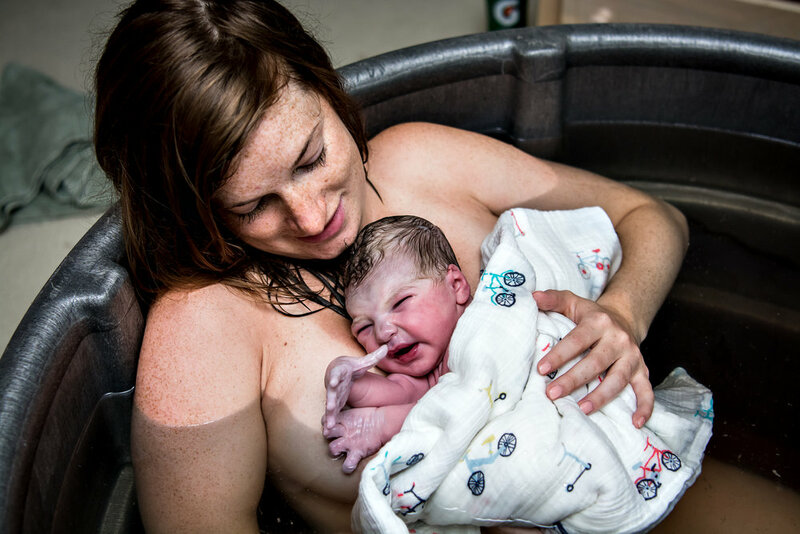 Birth is such a special, sacred and beautiful, intimate moment! Its a moment that sometimes fleets so quickly and consumes us so deeply that we don't always have time to see all the moments and reactions around us. Those moments that might really impact us, moments we would want to freeze and cherish. The moments I capture for you so you can see them and cherish them too. The way your husband/wife rubbed your back or held your hand. The look on your face as you meet your sweet little squishy baby as he is lifted on to your chest, the look on daddy's face as he catches his baby and hands her to you or the look as your spouse watches in amazement at you birthing her/his child into the world! The look on grandma's face as she watches her daughter powerfully birth her own baby in to this world! Or maybe those special moments where nurses or doulas, doctors or midwives that made a difference in your journey some how! Those first cries and vernix covered babies, baby wrinkled fingers and toes and fresh baby fuzz those tiny special details you'd like to remember that fade so quickly! All these moments are why I do what I do! To help my clients to fill in to hazy moments and to freeze all those moments to cherish for all of eternity! To help you and your sweet little one tell their birth story! Whether it’s those sacred moments when a woman is nourishing life within her womb, or those real raw beautiful moments when she is labouring and birthing and becomes a mother! Those first tiny special moments after a birth when the baby is so fresh and new and changing every minute! Following your growing family from the very start, freezing fleeting moments in time to cherish a lifetime. Helping you tell your family’s story.